Last weekend I made a couple of birthday cakes. I kept them simple, as sometimes that’s best! 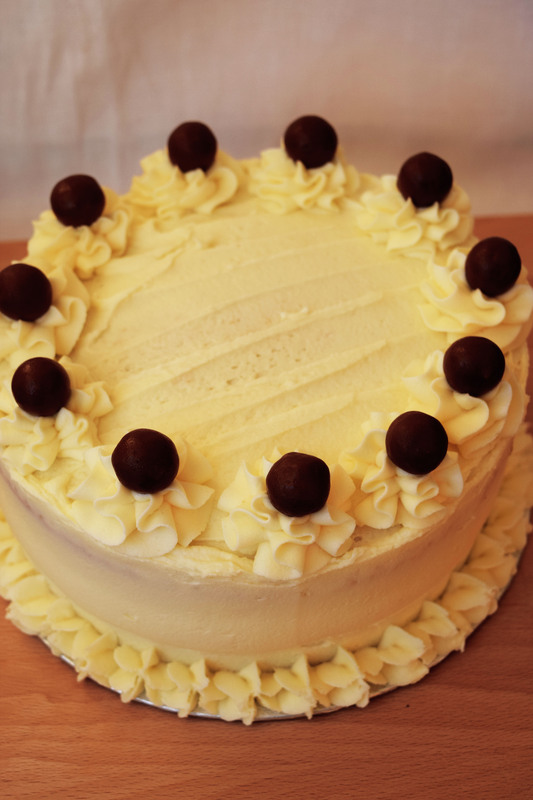 A vanilla cake with raspberry jam and butter cream filling covered in white chocolate butter cream, topped with Maltesers. 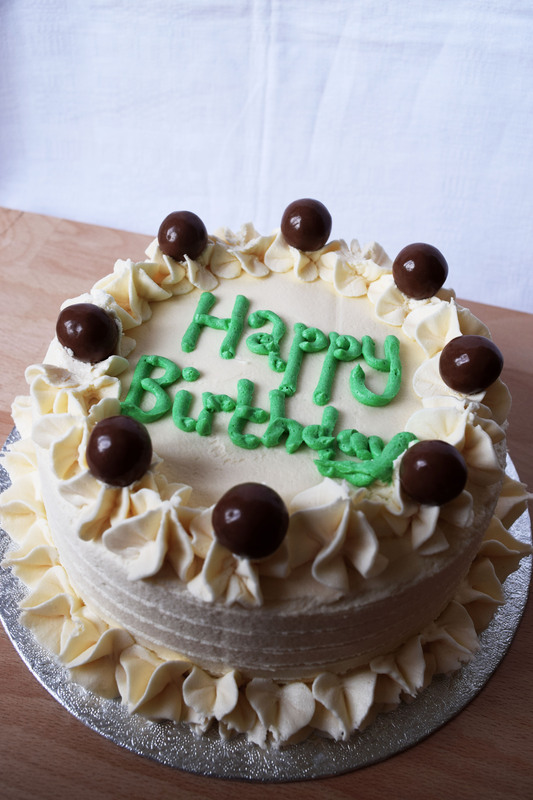 A vanilla birthday cake with vanilla butter cream filling and also covered with vanilla butter cream. 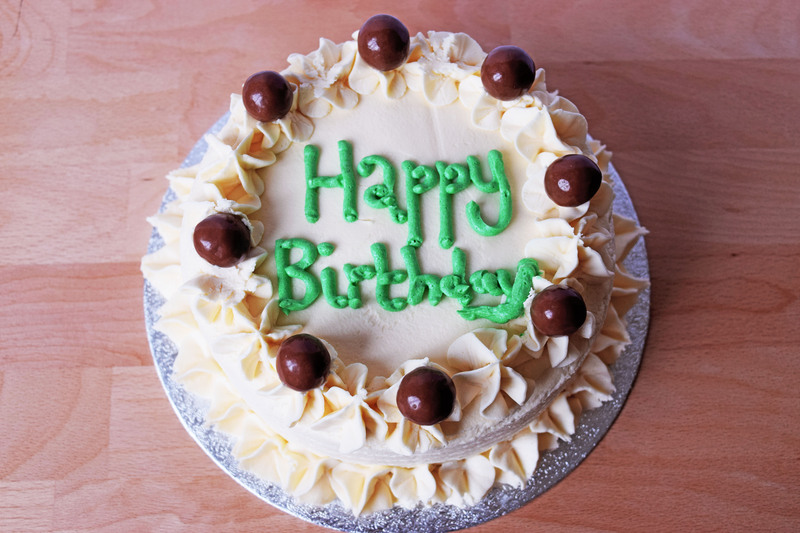 Topped with Maltesers and green butter cream for the writing. Later on in the week, I made a birthday cake with a bit more oomph to it. 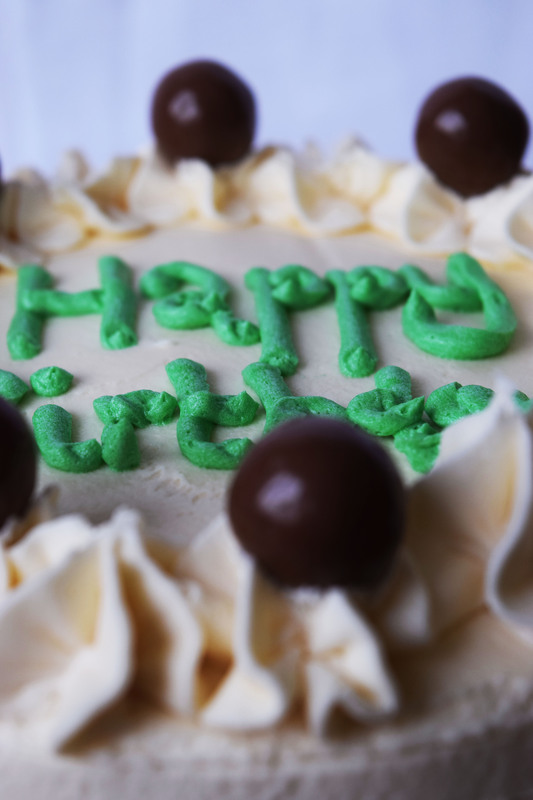 A special cake which needed it’s own blog post. So watch out during the week for another birthday cake special.